People with the Yin Earth Master Element are the fertile soil from which different living creations sprout, meaning that people under this element are resourceful and creative. They are natural born nurturers and coaches and are highly adaptive, allowing them to make the most of what they have no matter what life decides to dish out to them. They love to see things grow; it gives them the highest pleasure. Compared to all Master Elements, Yin Earth is deemed to have the greatest leniency, and these people have all the resources you need for almost anything. Sadly, they may also undermine this skill, and they tend not to see their worth unless someone else makes them see it. With their need to protect others the way a mother does, Yin Earth people need to take care of others, and they often put public over personal interests. These are the people that you can run to for help when no one else wants the burden, and you can count on them to help you push through with a last minute project. Yin Earth people love to ponder philosophical questions, and they seek mental development which is why they are the ones that come up with the most innovative solutions. These people do not get lost in their thoughts; they see things clearly. Yin Earth people possess almost photographic memories and their memory retention is amazing. But this can be a doubled edged sword since they find it hard to forgive any wrongdoing towards them. Worrywarts that they are, they can be controlling and possessive. Yin Earth people go with their gut feeling, and they don’t focus on the bottom line as they are keen on sticking to their principles each time they need to make a judgment call. When asked to choose between profit and compromising their morals, they will not think twice about dodging a shady deal so long as they do not violate their code of ethics. They will drop opportunity without hesitation if they feel their integrity or moral code is in jeopardize. Yin Earth likes to live a life of a lady, or gentleman, filled with luxury, comfort, and privilege. And this is all fine as long their wealth can support it, if not, they will have to face some harsh reality and pull their socks up if they want to enjoy their dream life. Yin Earth has refined taste which they try to fulfill; therefore a certain wealth status is must for them. Yin Earth is usually full of talents and resources; therefore they have to be used and explored. Yin Earth, like a soil, can never be entirely exhausted, it always finds the way to replenish and offer more in another cycle. Therefore Yin Earth cannot sit idle; they can’t wait for somebody to call them and ask for their help; it’s at their core, to help people grow. Yin Earth is strong if born during the summer months, but weaker during all other seasons. If Yin Earth is weak Yang Fire (sun) is needed for support. When strong, Yin Earth will prefer Yang Wood (forest) and Yin Water (rivers) elements to balance them. The interesting thing about Yin Earth is that they could never run out of Water. Even in driest deserts, if you dig deep enough, there will be some moist soil. Therefore Yin Earth people are always resourceful, regardless of element combination or whether the chart is too hot. Yin Earth people are natural born teachers and coaches. Like soil that supports the growth of grass and trees, Yin Earth people provide resources for other people to grow. Some of the greatest sports coaches are Yin Earth, like Phil Jackson and Jose Mourinho. 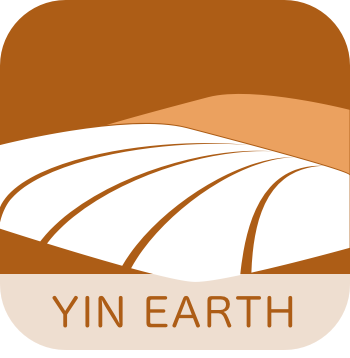 Yin Earth people are often sick; usually, they have a lot of allergies, and this is quite normal for them because soil always has different life forms within, but they are useful as nutrition for plants. The best way to treat Yin Earth people is with herbs, their bodies react the best with organic, live substances. Yin Earth is also specific when it comes to quantity and size of it. I strong Yin Earth represents a big field, which can grow a lot of Wood, which means that person might have multiple careers and rich relationship life. If Yin Earth is small and weak, it might lack capacity for all that. Spleen, pancreas, belly, nose, and flesh. If Yin Earth is balanced, it suggests that the person, in general, has good health and rich life. Excess Yin Earth will manifest as overweight body shape, big belly, a fullness or bloated sensation, and a susceptibility to diabetes. A person with deficient Yin Earth will have spleen Qi deficiency symptoms, may have a weak digestive function, or could be troubled with regular diarrhea. Under our feet, nature’s bed. Sand, soil, and endless sprawling deserts. Essential elements for all earth’s plants to grow. And you provide sturdy support for their ancient lives. But always with your family closest to your heart. Your view is always as it is and nothing more. This is the nature of your predictable soil.